"Panoramic View of Burnt District, viewed from Portland Observatory." Panoramic View of Burnt District, viewed from Portland Observatory. 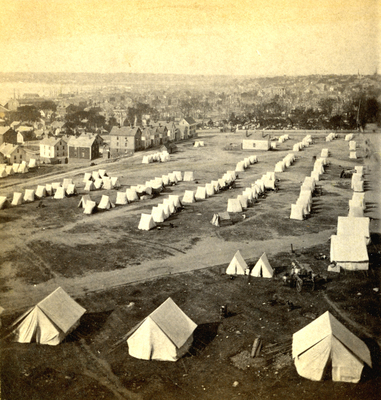 Panoramic view of burnt district covered with tents, End End, viewed from Portland Observatory, looking southwest. "Panoramic View of Burnt District, viewed from Portland Observatory." (1866). The Great Fire : 1866 - Stereoscopic views. 22.